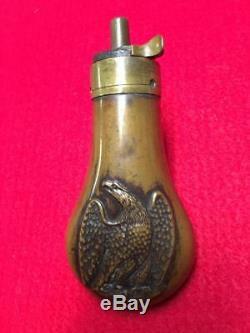 Civil War Era Colt 1849 Pocket or Root Pocket Powder Flask. 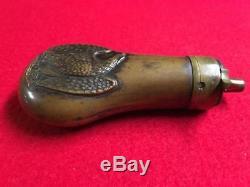 This is an original Colt 1849 Pocket or Root Powder Flask for a. 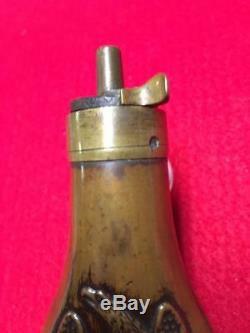 These were also used with the Colt Baby Dragoon Revolver. 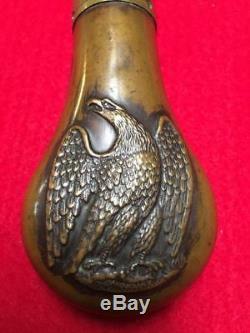 The total length including the charger is 4-1/4 inches including the spout, and it is 2 inches wide at the base. 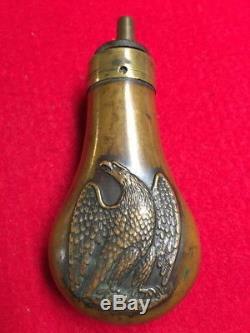 The flask features the eagle design on both sides found on flasks produced in 1850s. The brass has turned to an aged patina color. There are some minor dents on both sides. 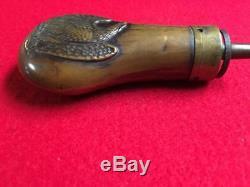 This flask is in over all very nice condition and works fine. 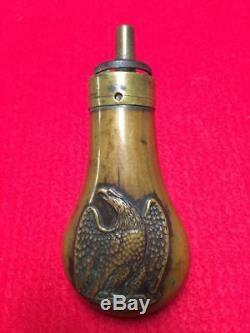 The item "Civil War Era Colt 1849 Pocket or Root Pocket Powder Flask" is in sale since Wednesday, December 19, 2018. 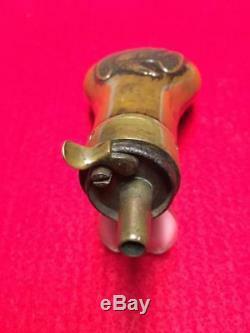 This item is in the category "Collectibles\Militaria\Civil War (1861-65)\Original Period Items\Other Civil War Original Items". The seller is "captainxo" and is located in Malverne, New York.